“Like Lady Liberty, we stand for independence and perseverance. 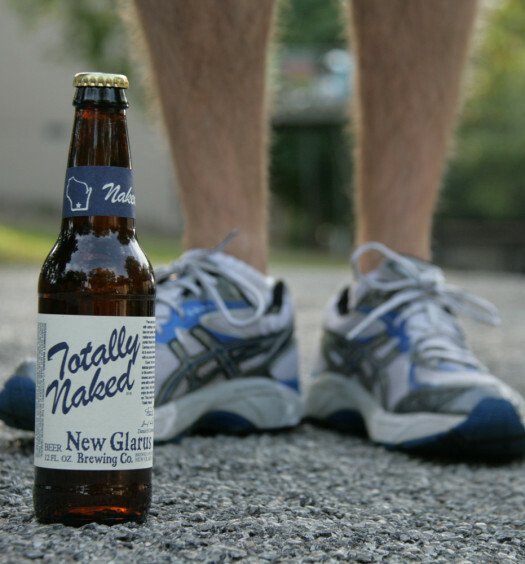 In the pursuit of innovative beer, there is no obstacle too great. No journey too long. No fruit too gigantic. 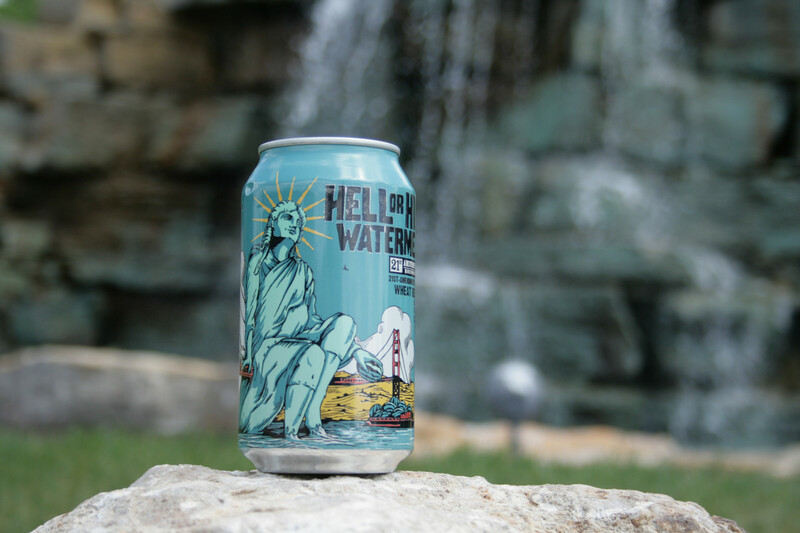 This American wheat beer is brewed with real watermelon, for a flavor that’s surprisingly crisp, dry and refreshing—summer in a can. 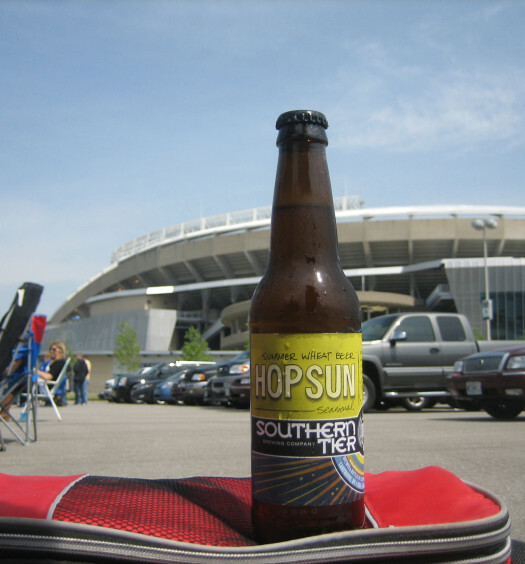 A bouquet of wheat, citrus, and sweet watermelon rise from a glass of Hell or High Watermelon Wheat. The craft beer settles quickly above the surface with virtually no head and a bubbly cloudy tangerine appearance below. The first draw reveals a tart wheat beer infused with an advanced carbonation level. The easily identifiable watermelon surfaces toward the back adding a nice semi-sweet balance. Grab yourself a Hell or High Watermelon beer on a hot day and you will not be disappointed. It is wildly unique without becoming a gimmick. Try a watermelon garnish for added flair. Bought a 6 pack while I was in upstate NY on business, and I ended up giving the other 5 away. It tastes like somebody dumped a packet of watermelon kool-aid in a bud light.